Congrats to the incenTrip app team -- Chenfeng Xiong, Eric Ji and Lei Zhang -- for winning the DC Department of For-Hire Vehicles Transportation Challenge Prize! Seaberry partnered with the @DFHV to explore new transportation options in the District. The incemTrip team is comprised of reseachers from the Maryland Transportation Institute at the University of Maryland, College Park. The incenTrip app uses redeemable rewards, traffic predictors, and eco-friendly features to ease your commute and to encourage ride sharing over the use of personal cars. 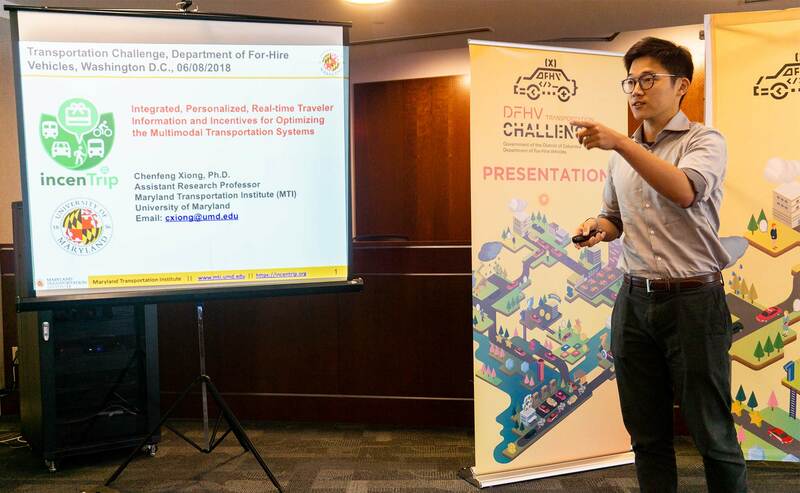 University of Maryland Assistant Research Professor, Chengfeng Xiong, presents the incenTrip app at the 2018 DFHV Transportation Challenge. 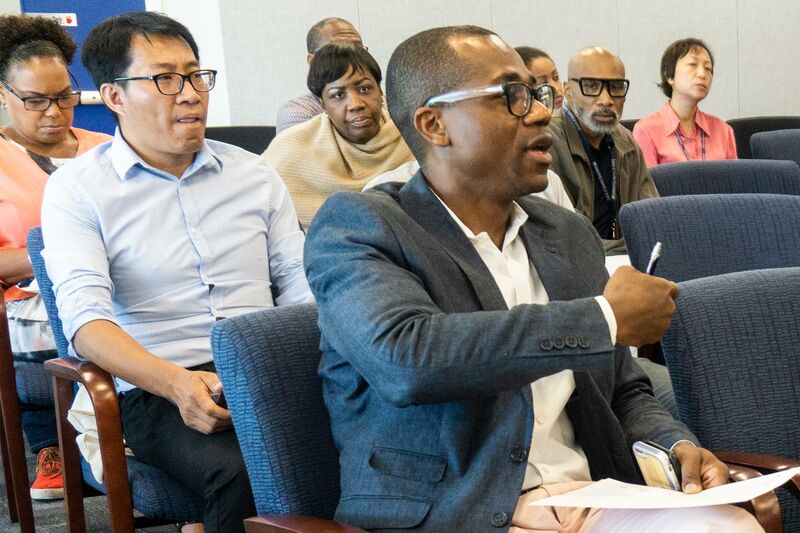 DFHV Director Ernest Chrappah asks questions of contestants at the 2018 DFHV Transportation Challenge. Left is UMD Transportation Institute Software Development Program Manager Ya Ji. “[We used] personalized traveler information and incentives to encourage smart and shared mobility travel options," said Chenfeng Xiong, Ph.D, a member of the incenTrip team. The app is supported by big data analytics and advanced Artificial Intelligence models developed by the UMD researchers. The “incenTrip” team is eager to contribute ideas and solutions to the challenges faced by the entire Washington, D.C. transportation system. This entry was posted in Blogazine, Event on June 13, 2018 by Toren Beasley.